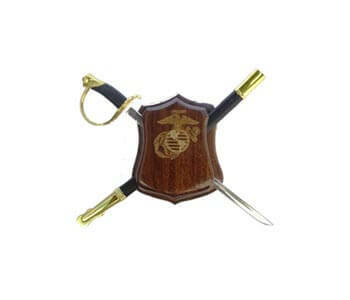 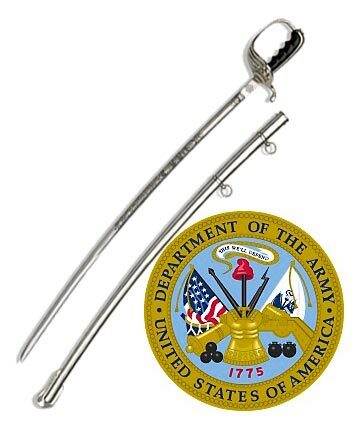 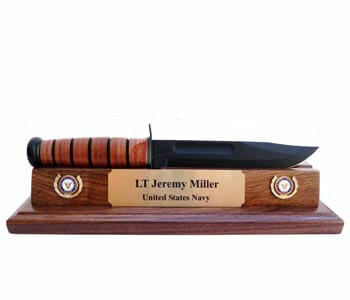 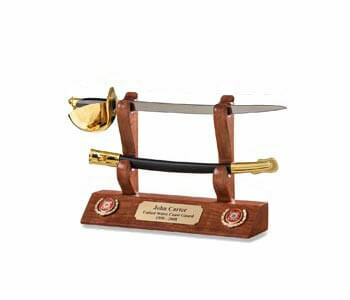 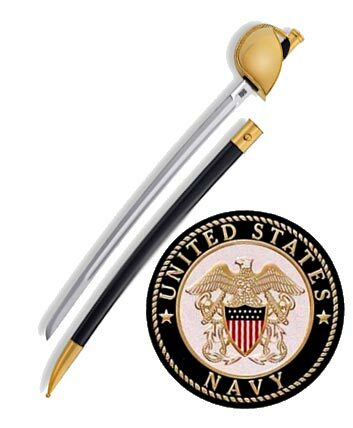 The Air Force Sword is the ceremonial edged weapon carried by enlisted airmen for special ceremonies. 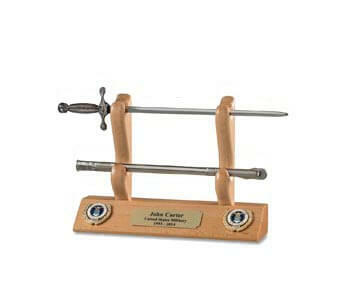 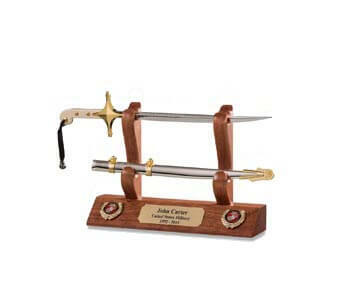 This sword borrows its design from the Air Force Academy Saber which was designed in 1955. 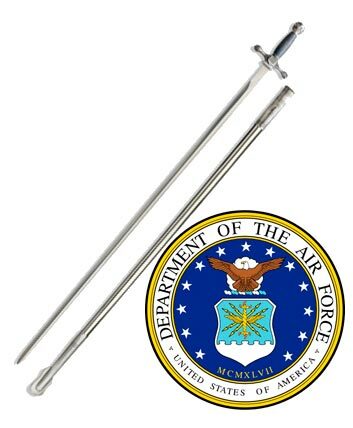 The Air Force Sword is identical to the USAFA Saber in every way with the exception of the "US Air Force Academy" inscription on the blade. 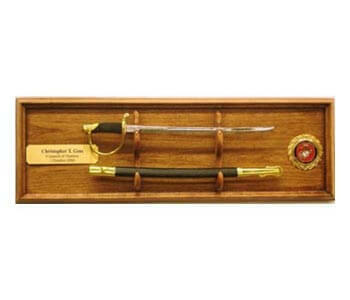 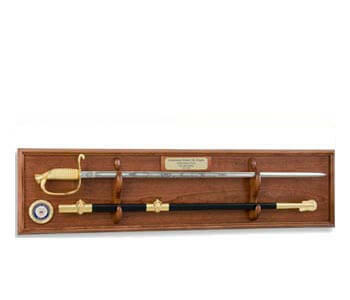 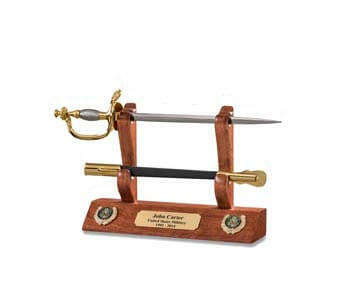 The Air Force Sword replaced the Model 1840 NCO Sword as the official ceremonial edged weapon for enlisted Airmen sometime within the last decade, although the transition was so gradual that I am having trouble pinpointing exactly when the change occurred Despite the numerous bad information given by Internet sources the Air Force Sword is not the weapon carried by Air Force Officers. 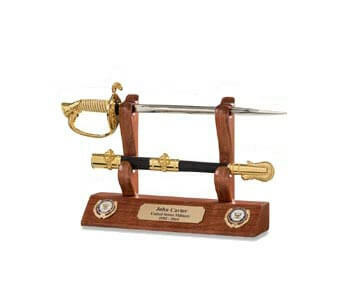 Air Force officers still carry the Model 1902 Saber. 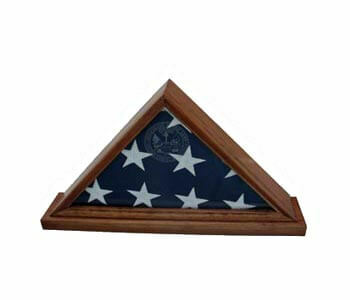 In 1948, one year after the USAF separated from the Army, the Air Force Honor Guard was born. 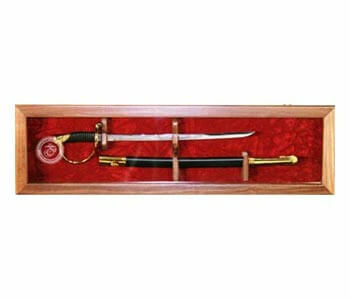 Citing the need for ceremonial edged weapons, they used the same weapons as the army due to their availability. 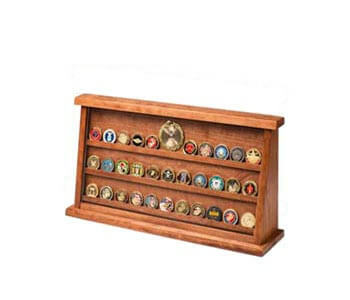 This tradition has remained unchanged for Air Force Officers. 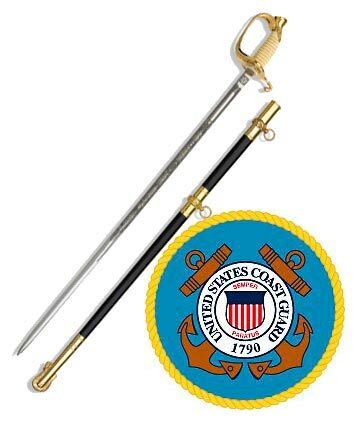 The USAF currently does not have its own manual of arms and references Army FM 22-5 as the reference for drilling under arms. 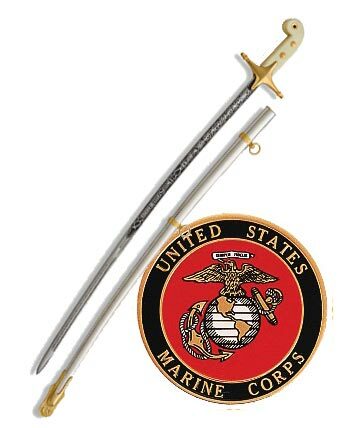 As of yet, the only published information outlining which weapons are to be used by either enlisted or officer, is the Honor Guard Manual.